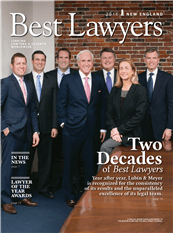 The Best Lawyers in America®, the most trusted and relied upon guide to legal excellence, recognized Lubin & Meyer as the only law firm in the Commonwealth to have two of its partners — founder, Andrew C. Meyer, Jr. and Robert M. Higgins — named Medical Malpractice Lawyer of the Year. 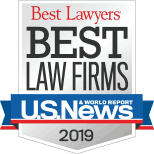 Joining Attorneys Meyer and Higgins on the 2019 Best Lawyers® list are partners Krysia J. Syska, William J. Thompson and Adam R. Satin. In addition to this distinction, all of the firm’s partners are named to Massachusetts Super Lawyers with special recognition of Andrew C. Meyer, Jr. and Robert M. Higgins named to the Massachusetts Super Lawyers Top 100 New England Attorneys list. Our medical malpractice lawyers can evaluate your case for free. 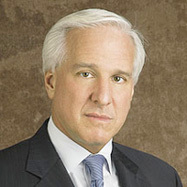 Adam R. Satin Selected "Lawyer of the Year"